During the never ceasing rivalry between Coke and Pepsi, each company has made some spectacularly bad marketing decisions to try and one up each other- from Coke’s baffling decision to spend $100 million to fill cans of their soda with water that smelled like farts to Pepsi somehow accidentally promising customers who bought enough of their soda a harrier jet. And don’t even get us started on that time Coca-Cola decided to stop making their best selling product, Coca-Cola, because taste tests, even the ones they conducted, very concerningly showed people preferred Pepsi to Coke and they thought for sure it was only a matter of time before Pepsi overtook Coca-Cola in popularity. So they came up with a new product to give the brand name to and stopped making what had been for decades, and still was at the time, by far the world’s best selling soft drink… The classic slaughter your troops and burn your own castle down before your enemy gets the chance strategy… We can’t make this stuff up. This all brings us to the subject of today- that time Pepsi ran a promotion that resulted in 800,000 customers being promised $40,000 each. And for those who don’t want to do the math, that’s a potential spend of about $32 billion, or adjusted for inflation, about $50 billion in today’s dollars. 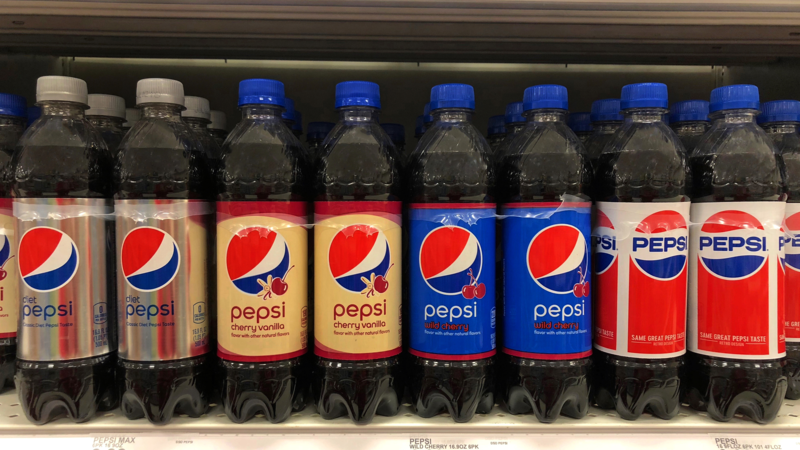 The origins of this particular corporate horror story can be traced back to the early 1990s when Pepsico were struggling to gain a foothold in the Philippines. Noted as being the the 12th biggest market for soft drink consumption at the time, Coca-Cola controlled about 75% of that market while Pepsi only had 17%. In an effort to push Coke from the throne, Pepsi enlisted the help of a Mexican marketing firm D.G. Consultores. Together they workshopped what would eventually become known as the Number Fever Campaign. Mechanically the promotion was similar to other giveaways the soda giant has taken part in, revolving around the collection of bottle caps for various Pepsi products, including Pepsi itself, Mountain Dew and 7-Up. On these caps was printed a seemingly random 3 digit number. Each day Pepsi would announce one of these numbers on Filipino television and a prize, ranging from 100 pesos (about $4 then or $7 today) to 1,000,000 pesos (about $40,000 then or $71,000 today) would be awarded to holders of the numbers. To ensure that they didn’t hand out too many prizes, an algorithm was used to ensure only a specific amount of winning bottle caps were printed. This algorithm was tweaked such that the entire spend for the prizes on the campaign would not exceed around $2 million. To add an air of pomp and circumstance to the whole ordeal, the winning numbers were stored in a fancy bank vault and delivered to a designated TV studio (specifically Channel 2 News in Manilla) each day, though as the promotion grew other stations picked it up as well. Officially launched in the opening months of 1992, the promotion was a hit and saw sales of Pepsi products spike by 40% in the region almost overnight. In terms of raw market share, at its peak the additional sales helped Pepsi capture a further 9% of the Filipino soda market. In the end, an estimated 31 million Filipinos bought a promotional Pepsi product during the time the promotion ran- a number, for the curious, that amounted to roughly half the country’s population at the time. Speaking of grand prize winners, to ensure that they had complete control over how many people won it, Pepsi handed down a list of “forbidden numbers” to D.G. Consultores (who were handling the distribution side of the promotion) reserved exclusively for the grand prize that bottlers absolutely would not print on the inside of caps. Initially the campaign ran without a hitch and by May of that year there had been 17 grand prize winners, while thousands more had won smaller prizes. This all changed though when on May 25th Channel 2 announced that the final grand prize would be awarded to anyone holding a bottle cap with the number 349 printed on it… a number that was on the list of forbidden numbers to be picked as a winner, importantly because it was printed on about 800,000 bottle caps…. Who exactly screwed up here isn’t really known, though presumably internally someone missed out on the employee of the month award on this one. But whatever the case, as you can imagine, people holding bottle caps with the number 349 on them were very keen to claim their rather large prize, with tens of thousands of people turning up to Pepsi plants across the country demanding their money. All in all some 486,170 of the 800,000 bottle caps printed ended up being found, meaning Pepsi owed out just shy of $20 billion… And just for the curious, as we ourselves were wondering how that number compared just for fun, the entire gross domestic product of the Philippines that year was about $52 billion. Unwilling to pay out the billions of dollars it would cost to honor each winning bottle cap, Pepsi instructed officials at the locations to simply turn people away and claim that the number 349 had been announced in error. Naturally, when it was announced that no prizes would be awarded for this number, this caused mass outrage and riots broke out at Pepsi locations across the Philippines. To appease the masses, Pepsi announced that they would offer anyone holding a 349 bottle cap 500 pesos (about $18 at the time or $32 today) as “a gesture of goodwill”. How they settled on this number isn’t clear, but it is noteworthy that this did tack on an additional spend of nearly $9 million for Pepsi, and closer to $17 million if all 800,000 or so caps were found. For some reason people who’d initially been expecting a literal million peso payday didn’t respond well to this offer and thousands of them filed suit against the company. One woman, Paciencia Salem, even vowed that when she died, to quote her, “My ghost will come to fight Pepsi.” It’s also noteworthy that her husband died of a heart attack during a Pepsi boycott march shortly before she said this in an interview. On that note, many chose to take out their frustrations on the company more directly, storming Pepsi offices and bottling plants, the latter of which were forced to employ armed guards and put up barbed wire fences to keep out angry customers. Naturally, Pepsi wasted no time removing non-essential employees from the country until things calmed down. Violence against tangible representations of the company followed with Pepsi delivery trucks being a particularly easy target for the collective wrath of the Filipino people with a few dozen of them being destroyed. Tragically, one truck was even attacked by a man with a grenade, which ended up bouncing off its target and killing a school teacher and two children, while severely wounding six more people. Rather than blame the man who threw the grenade, many in the masses blamed Pepsi for causing the fiasco in the first place. Calls for a boycott followed and sales of Pepsi products nosedived across the country as the sustained negative coverage of their brand and the violence the promotion had caused dominated Filipino airwaves. 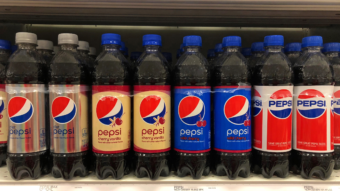 However, once again proving that no matter how big of a screw up you make, when it comes to soft drinks particularly, it doesn’t matter, Pepsi weathered the controversy completely and sales recovered to their former levels once the mobs disbanded and the news moved on to other stories. And from the legal side of things, Pepsi got off mostly scot free here as well. While they did have to fight thousands of lawsuits over the issue up until 2006, that year a Philippines Supreme Court ruling definitively cleared them and they didn’t end up having to pay anything to any of those who brought suit against the company.